Tragic, lets hope there is a positive outcome, although it doesn't sound good. Fingers crossed but once a plane has been missing 18 hours it doesn't look good. Is flying from France to England in a plane like that a usual occurance? This doesnt look good atall, if he was fine and well he would of gone on social media to confirm he was alive and well, or would have spoken to somebody. No activity all these hours later points to the worst news for me, plane has crashed and cant be found - such a shame if thats the case as the lad looked buzzing to have signed for a PL club and was excited to get playing. Hope Im wrong but I'm not hopeful of that being the case. Just when you thought you'd heard it all something like this happens. This is like something off Sky One's football soap Dream Team sign a new star striker who goes plane goes missing over sea just after signing. He'll turn up in a few weeks suggesting his mrs was trying to get the pay out on the life insurance. Horrible news. I’ve been reading reports that if it was going to be found safe then it would have been by now. Like if it had to go off course and land at another airstrip then it would have been called in. Such sad news for all involved. I’m always positive but this doesn’t look good at all. I just hope that the bodies are found so they can be laid to rest. Awful, arguing the toss over over money. I can see why as it's a lot of money for these clubs, but a bit tactless. The FA should pay it and sort our the legal details of it later. The guy isn't even out the water yet. It's a tricky one because at the end of the day Cardiff have signed him so they need to pay. A club like Nantes probably can't just sit and wait for £15m to turn up because they've spent some of that money on new players and also owe some of that money to a previous club. I imagine Cardiff are currently looking into the insurance coverage they have on all of this. The world doesn't stop in this situation that's a sad reality of life and while a certain amount of relief is given people won't wait long for money. The FA shouldn't cough up a penny Cardiff need to pay what they owe and look to recover the money through insurance/legal avenues against the company that arranged the flight. His family should be following the same process as well. As far as we know Nantes had no involvement in arranging the flights he'd arranged the flight back to Cardiff through an agent involved in the deal I know it's a cold way of looking at things but they need to be paid in accordance with the contracts that were signed. I doubt it's full payment anyway it'll be the first instalment as it's very rare for a full fee to be paid upon completion. If you buy a car then on the way home someone crashes into it you can't cancel the payment to the dealership you bought it from as they are not part of the issue. true, I just find it bit crude arguing about money at this stage. Anything to facilitate the deal really. What's worse Nantes asking for the money or Cardiff not paying it? I can understand it, small clubs it's a lot of dough. I just feel for his family seeing all that play out. I didn't see how the news came out did Nantes issue a statement? 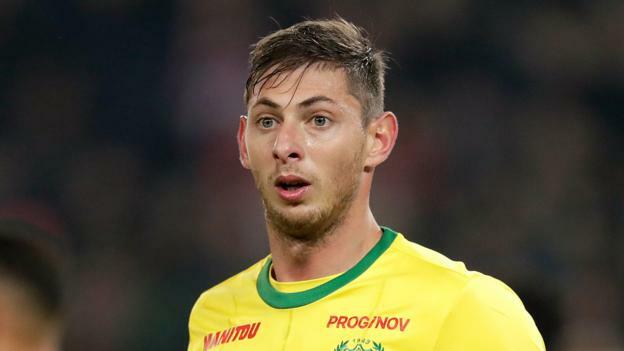 Football365 - Nantes have reportedly demanded payment from Cardiff for the £15million transfer of Emiliano Sala. Found this the fact they've sent a letter isn't really a surprise. My guess is they really don't care about two clubs arguing over a transfer fee at this point the most important thing is that Cardiff are making sure they're looked after in the interim. They've recovered a body from the plane although they've haven't said yet if it's the player or the pilot I assume that news will be released shortly. A much more difficult conversation is probably coming when it comes to paying his wages you just pray his agent has done his job properly and made sure all the necessary insurances are in place so his family are looked after properly because no doubt he will have been supporting them financially. I think that Cardiff pay Nante's and then work the rest out with their insurance. I can't see a viable reason why they haven't paid Nantes the first installment. Body taken out of wreckage formally identified as Sala’s. Least it gives the family some closure now, would have been horrible to never find the body. RIP. Let’s pray they can find the pilot too. So Cardiff are suggesting the deal was null and void due to an error on the player contract which was rejected by the PL and had to be changed and it seems like he may not have signed the revised copy before his death. They're basically suggesting he was never 100% a Cardiff player. 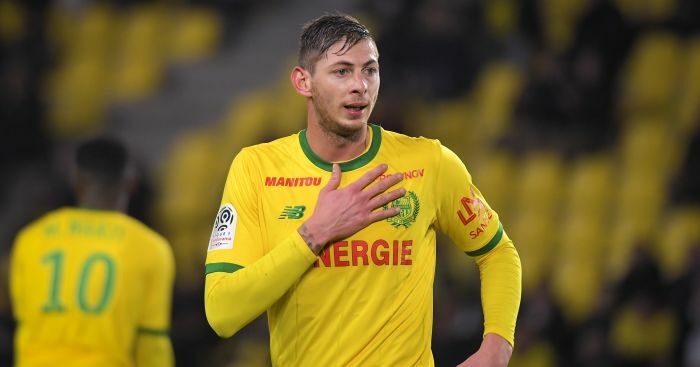 As part of the investigation they've been asked to investigate a number of flights surrounding the deal including flights taken by Cardiff scouts and the manager to watch Sala play and officials who brokered the deal. It seems there are concerns over the legality of a number of flights and the way that they were arranged. If they're challenging the legality of the contract makes you wonder how the family are being treated while this all pays out have they been looked after. If the contract wasn't signed properly then you start to wonder was the pilot pressured into flying in dangerous conditions to get the player to Cardiff to conclude the deal.